You'll need to make two separate batches for each cake. 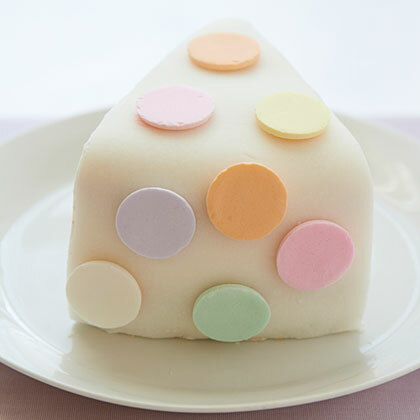 Impress your party guests with a wedge of fondant-covered cake covered in polka dots. 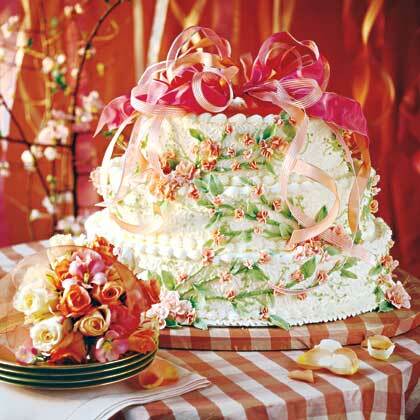 We love this cake for baby showers or bridal parties. 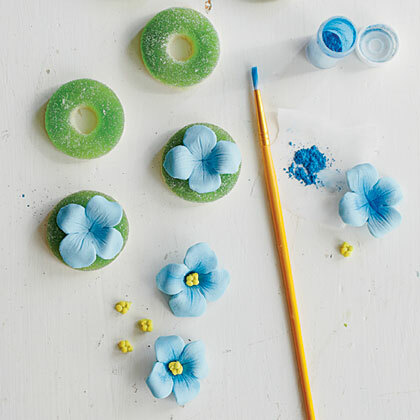 To get the best results, you’ll want to use a Wilton fondant smoother. Ready-to-use fondant is just as easy to cut and shape as Play-Doh. A hydrangea gumpaste cutter set (petalcrafts.com) adds realistic details. Find fondant and color dust at crafts stores or wilton.com. Make-ahead tip: Store in a cool, dry place up to 1 month. Prep: 1 day, Dry: 24 hrs. Use a heavy-duty electric stand mixer for best results. Also, lining the bottoms of the pans with parchment paper ensures that the layers come out of the pans with ease. 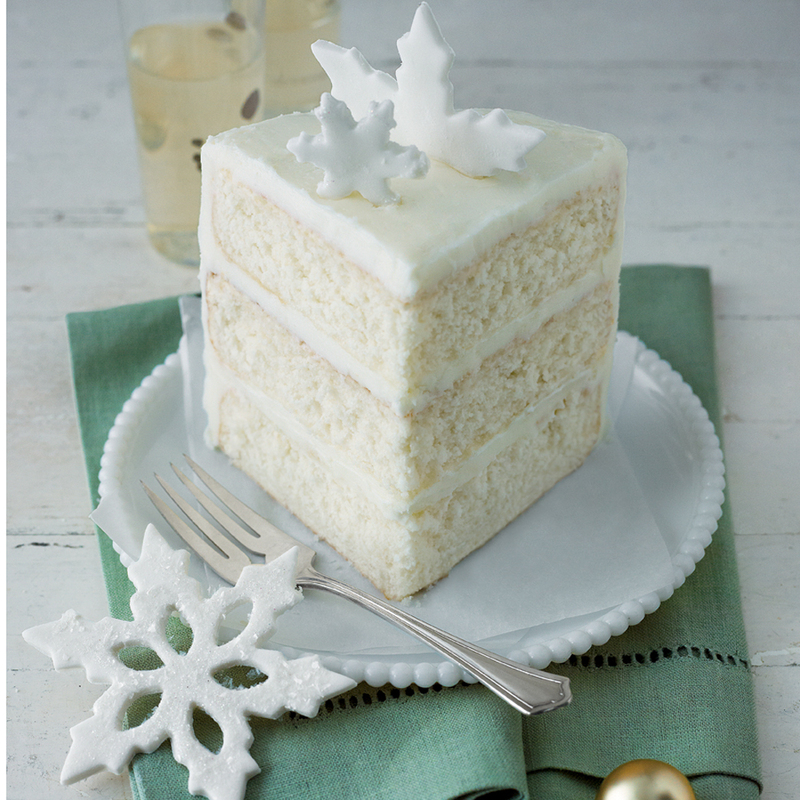 Our Dogwood Blossom Cake is a melt-in-your mouth white cake with a smooth blackberry filling. 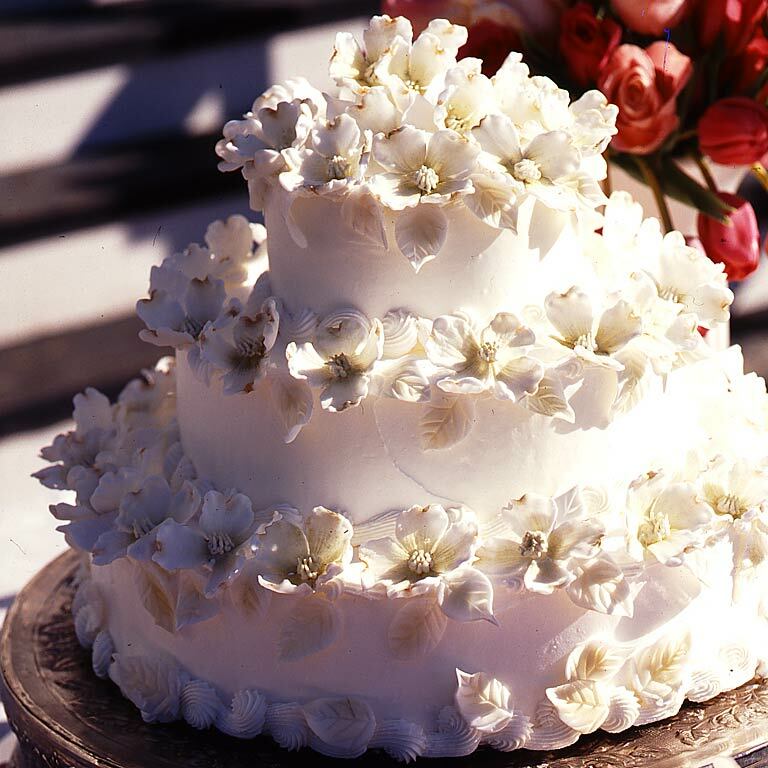 From the fondant dogwood blossoms to the white satin frosting, this cake is clearly an elegant centerpiece for springtime receptions. 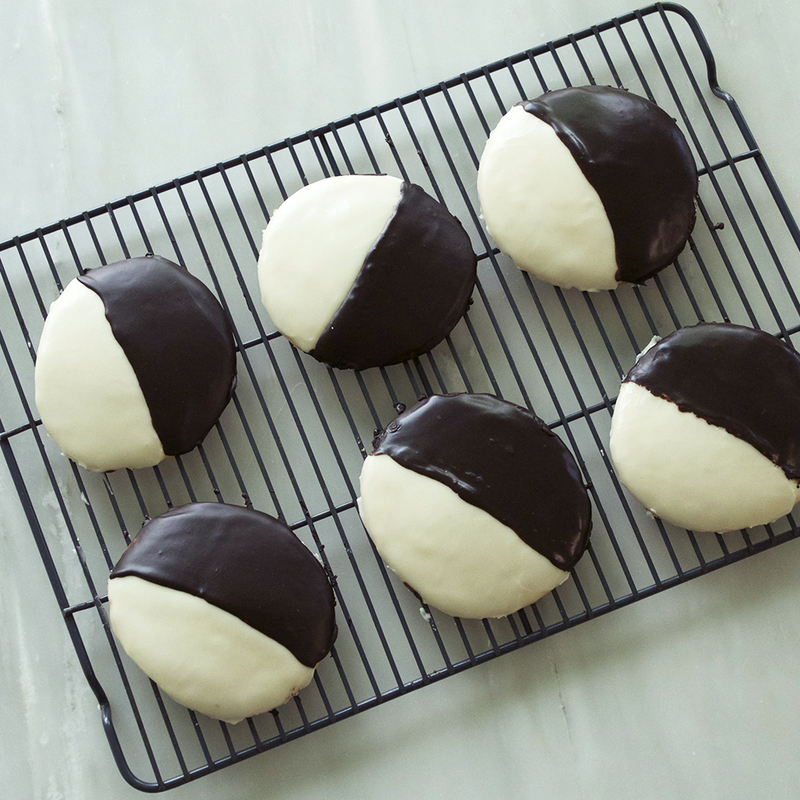 New York City's famous Black and White Cookies are soft, cakey vanilla cookies (with a slight hint of lemon) that are best known for their half-and-half coating of rich, snappy vanilla and chocolate fondant icing. We've replicated the famous recipe here. Wire racks and parchment paper are your best friends when working with poured fondant. The wire racks allow the excess icing to drip down while the parchment paper keeps your countertops clean. Pro tip: To quicken the setting of the glazes, place the cookies in the refrigerator for about 15-20 minutes after each coating. Feeding the first slice of cake symbolizes the bride and groom's commitment to each other. At that memorable moment, why not have a cake that looks beautiful AND tastes delicious? Fondant Peach Blossoms with a blush add a breath of beauty and elegance to this Peaches-and-Cream Wedding Cake. 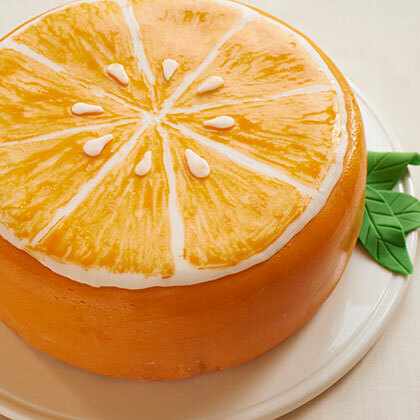 Citrus fans will love this lemon-orange cake decorated to resemble a fresh orange slice. You can make the homemade buttercream frosting that’s listed here, or you can use a canned frosting. We recommend that you use a fondant smoother tool from Wilton for best results. 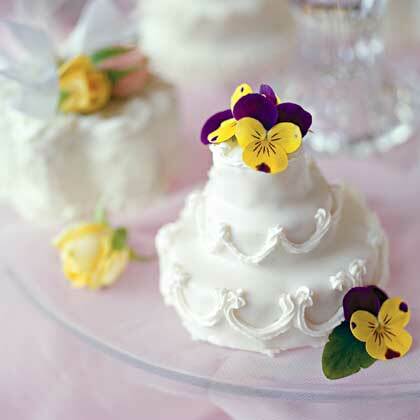 These small, tiered treats with 3-inch-round bases lend elegance to an intimate engagement party, tea, or dinner. The cake was cut into three graduated circles with cutters. Jan then stacked the layers on a wire rack and coated them with Poured Fondant to make about one dozen cakes. 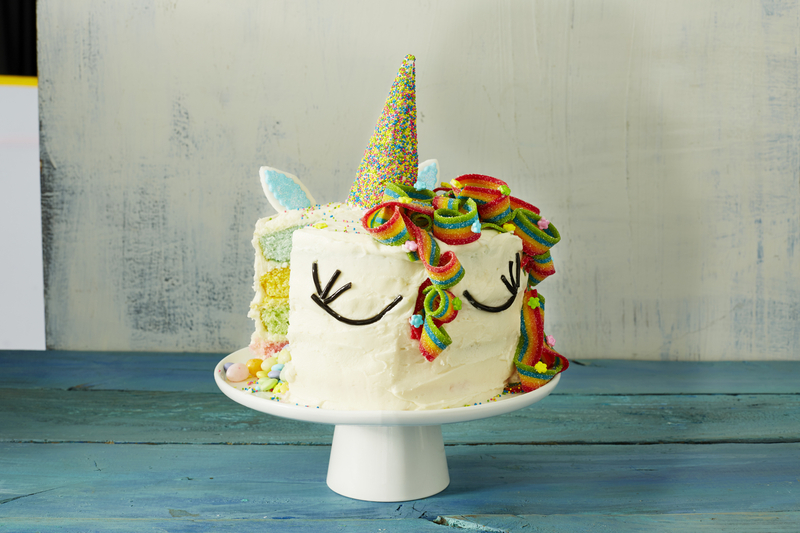 This colorful unicorn-inspired layer cake is the pinnacle of cuteness—perfect for a birthday party or for anyone who’s just super into the current unicorn craze. While this cake is fantastically wow-worthy, and does take some time and loving dedication to construct, you don’t need to be a pastry chef to pull it off. In fact, creating this mythical masterpiece really is totally achievable for a home baker—just follow the instructions and don’t be afraid to have a little fun with it! 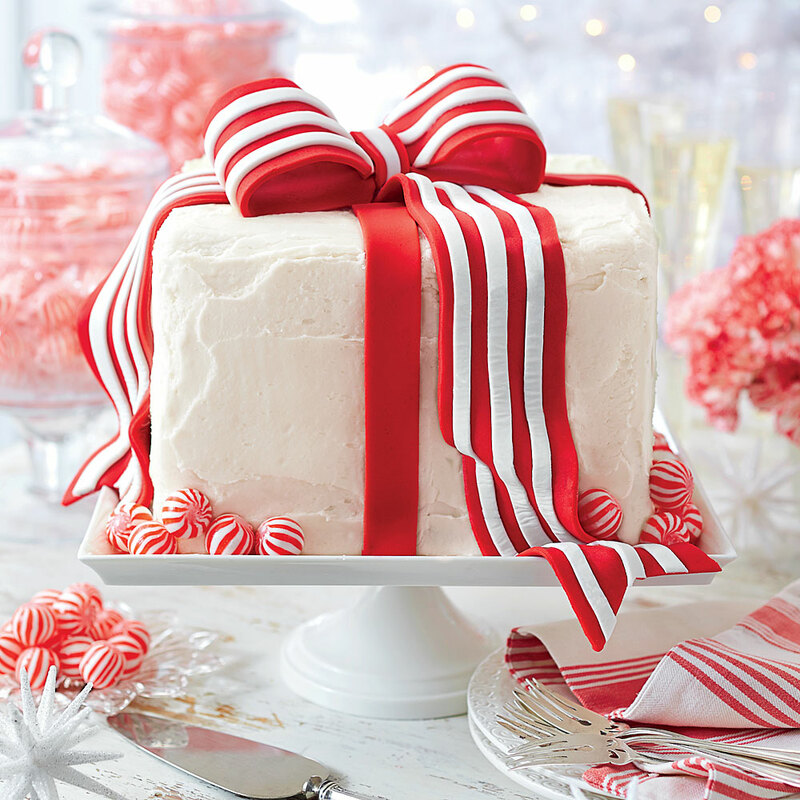 You’ll be amazed what you can achieve with Vanilla Buttercream Frosting, some colorful candy, and a little bit of fondant. Three... Two... One... Blast off! Host an out-of-this-world space birthday party for your pint-sized astronaut.